Licensed practical nurses (LPNs) are skilled individuals who contribute to the assessment, planning, and implementation of patient care under the guidance of Registered Nurses. In Oregon, prospective LPNs must complete an Oregon State Board of Nursing approved program to acquire the knowledge, skill and professional judgement to contribute to various aspects of patient care, including prevention, acute care, and long-term palliative care. Often the first point of contact in patient care, LPNs perform numerous tasks within the state-defined scope of practice. Their duties include taking vital signs, collecting samples, monitoring patient progress, and wound care. One of their critical roles is to be an advocate for patients’ needs and take appropriate actions to ensure their safety and well-being. The position calls for collaborative work with patients, their families, and other members of the patient care team. Practical nursing programs prepare students for employment in a variety of healthcare settings, while imparting insider knowledge on the issues that shape nursing and the healthcare workforce. Only graduates of OSBN approved programs are eligible for licensure in the state of Oregon. Therefore, it is important to refer to the Board’s frequently updated list of approved programs to ensure you enroll in a school accredited by the OSBN and the Accreditation Commission for Education in Nursing, Inc. (ACEN). Classroom and clinical instruction promote students’ intellectual growth and development. The classroom sessions emphasize a real-world focus on topics, such as community health, adult health, obstetrics, geriatrics, leadership, ethics, the nursing process, clinical nursing procedures, pediatrics, medication administration, and preparation for the NCLEX. The supervised clinical experience, which takes place at a local healthcare facility, reinforces classroom instruction to produce well-round nurses who will make a significant contribution to the workforce and become leaders in their field. During the off-site experience, students work closely with faculty to provide patient care and build critical skills in physical assessments, administering injections, wound care, urinary catheterization, and medication administration. Eligible candidates for admission must be 18 years or older with a high school diploma. Applicants must also attend an information session, which will outline the steps for enrolling in the program and the school’s expectations for students. Other qualifying steps may include passage of the Test of Essential Academic Skills (TEAS) and submission of immunization records, a CPR card, and the results of a criminal background check. A history of specific crimes could impair your eligibility for enrollment in a practical nursing programs. The admissions department may also request letters of recommendation and completion of prerequisite courses in mathematics, chemistry, biology, anatomy, and medical terminology. After completing the program, graduates will receive a diploma that will make them eligible to take the NCLEX-PN. Students who succeed on the exam will obtain a license from the OSBN. Duration and Cost of Training: Nursing students in Oregon can expect to pay between $6,700 and $29,300 for a 12-month practical nursing program. There’s a huge discrepancy in the cost of tuition when comparing one program to the next. Some factors that affect the cost at Oregon’s 17 approved schools include whether the fee includes all expenses, and the degree conferred. The advertised fee may not include expenses for textbooks, liability insurance, administrative fees, graduation fees, CPR, lab fee, uniform, lab supplies, and transport to and from the clinical sites. Prerequisite courses will increase the final costs of the program. Grants, scholarship aid, and federal loans are just some options available for qualifying students. Taking the NCLEX is the primary means for new nurses to practice in Oregon. If you begin the registration process toward the end of your nursing program, you will receive your Authorization to Test early and take the exam just out of nursing school. Since the OBSN uses a drawn out process to qualify candidates, you should apply early if you want to practice as soon as you complete the program. In addition to submitting an application to the Board, you must register with Pearson Vue, the agency entrusted with administering the exam. To register for the exam, call the toll-free number and submit your information. Have your credit card on hand as you’ll need to submit the $200 payment to complete the registration. Convenient registration over the internet is also available; payment can be submitted with a credit card or through third-party options. Make sure to provide a valid email address, as email is the only means by which Pearson Vue communicates with candidates. The OSBN will confirm your eligibility to take the exam after reviewing your transcript, which confirms that you completed a Board-approved program. Pearson Vue will then send the Authorization to Test letter, which gives you the permission to make an appointment to take the test at one of the NCLEX Testing Centers. You must schedule and take the exam within 90 days of receiving your letter from Pearson Vue. If you’re successful, the OSBN will send your new nursing license within a few days of confirmation of your results. You would receive a diagnostic profile outlining how you performed in various sections of the exam if you failed. Use the diagnostic profile to prepare for success the next time you retake the exam. Retaking the NCLEX requires an application to the Board and Pearson Vue with the accompanying fees. Nurses can obtain a license to practice in Oregon by one of two ways: by examination (for graduates of an approved nursing program who plan to take the NCLEX) or by endorsement (for nurses who hold a license to practice in another jurisdiction). Oregon statutes require a license to practice nursing. Since the state considers orientation to a nursing position as “practicing,” you must have a license before you begin orientation. LPNs with a multistate license from a compact state must apply for a license since Oregon is not part of the compact agreement. Practicing without a license is a violation of Oregon law that will result in a penalty up to $5000. Processing an application could take several weeks as the Board reviews the information and awaits results of the criminal background check. Applicants must graduate from an approved nursing program in the United States or an equivalent program in a school outside of the United States. Candidates who completed basic nursing education from a school outside the United States must document English language proficiency. The Oregon State Board of Nursing (OSBN) no longer issues plastic license cards. Therefore, employers should use the online verification system to verify licenses. Temporary licenses are not available in Oregon. Graduate nurses of not more than three years from an approved program in the United States will qualify to take the licensure exam. Graduates from international programs will also qualify under the specific guidelines provided below. Following is a checklist for submitting your licensure request to the OSBN. Register with Pearson Vue (phone, mail, or internet) to take the NCLEX. Complete the application form using your legal name on the application and all other forms. Provide a written explanation of each “yes” response to the criminal history questions. Compose the statement on a separate sheet of paper and include dates, locations, actions taken, resolutions, and findings. Attach a recent passport photograph, verified on the photograph form by the Dean/Director of the school of nursing or a notary public (if you graduate more than a year ago). Request a copy of your official transcript sent directly from the school of nursing to the OSBN. The transcript must be imprinted with the school’s official seal and bear the registrar’s signature. It should also indicate the degree conferred and date. Enclose a check or money order in the amount of $160 for the application plus $52 for fingerprint processing. Make payable to the Oregon State Board of Nursing. Fees are part of the application process and are not refundable. Include the completed fingerprinting documents in a separate envelope sealed by the fingerprinting agency. Don’t forget to include your Social Security Number and sign the application. Document your English language proficiency by submitting evidence that you completed your nursing education in English or your scores on an English proficiency exam (TOEFL, TOEIC, IELTS, CGFNS) or a VISA-Screen Certificate. Document your English language proficiency by submitting evidence that you completed your nursing education in English or your scores on an English proficiency exam (TOEFL TOEIC, IELTS, CGFNS) or a VISA-Screen Certificate, or proof of a passing score on the NCLEX or graduation from an US nursing education program with an advanced degree. Applicants convicted of certain crimes will not qualify for licensure. Submit your application well in advance as it could take several weeks to process. The OSBN will issue the license in approximately 5 business days after receiving all the required information. If you are licensed or have been licensed as a nurse in another US state or territory, you can apply for licensure by endorsement if your license is in good standing. Submit the application for endorsement using the Board’s online services. Arrange for your official transcript to be sent from the nursing education program to the OSBN. The transcript must be imprinted with the school’s official seal and bear the registrar’s signature. It should also indicate the degree conferred and date. Submit your fingerprints for a criminal background check. The OSBN may also request a search of the National Council of State Boards of Nursing Information Systems and Disciplinary Databank. It is important to include accurate information and provide a written explanation for each “yes” response to the criminal history questions and disciplinary action questions. Provide evidence of completing at least 960 hours of nursing during the last five years. Skip this requirement if you graduated from an OSBN-approved nursing program within the last five years or completed an OSBN-approved re-entry program in the last two years. Enclose a check or money order in the amount of $195 for the application plus $52 for fingerprint processing. Make payable to the Oregon State Board of Nursing. Fees are part of the application process and are not refundable. Submit written verification of passing the NCLEX sent from the state in which you passed the exam. Verify your license using electronic verification (Nursys) if available or use the State Verification Form (included in the Endorsement Packet). Provide verification from your original and current state (if applicable). The licensing agency must send the licensure verification, in a secured state envelope with an official seal, directly to the OSBN. Oregon uses a biennial birth date renewal system. Note the expiration date when you receive your initial license; it will expire the day before your birthday – in an even-numbered year if you were born in an even-numbered year or in an odd-numbered year if you were born in an odd-numbered year. The OSBN will send out a renewal notification approximately 6 to 8 weeks before the license expires, assuming you maintained a current record at the OSBN office. You must move forward with license renewal even if you fail to receive the notification. Practice at least 960 hours of nursing in the previous five years. Graduate from a Board-approved nursing program in the past five years. Licenses who cannot meet one of the above requirements must complete a re-entry program before applying for renewal. If your license expires, you can reinstate it by submitting a renewal request and the penalty for late renewal. If you fail to renew after 60 days, you will need to reactivate the license, which includes a criminal background check. License renewal is available online. The renewal fee is $145. LPNs are critical members of a healthcare team. They assist Registered Nurses and improve the quality of services the healthcare team provides. Many facilities will not be able to function without the care LPNs provide, yet so many new graduates have a difficult time finding work after obtaining state licensure. The reality seems at odds with the BLS projections of endless opportunities for these entry-level practitioners. The figures (25% increase in employment opportunities by the year 2020) make sense when one considers the settings in which the jobs are available. LPNs seeking jobs in hospitals will quickly learn of limited opportunities as hospital administrators limit employment of LPN, and instead hire Registered Nurses and lower skilled nursing assistants. Those who manage to find a rare opportunity in a hospital are restricted to specific wards and have no access to specialized areas. All is not bleak for LPNs though. If you prefer work in an acute care setting, you should consider working in a physician’s office, which gives nurses some measure of authority and the opportunity to work with patients of varied ages. Other job opportunities are plentiful in nursing homes and long-term care facilities. These jobs are not as prestigious and high-paying as a job in the hospital, but LPNs can gain valuable experience to use as leverage for another position or for advanced study. 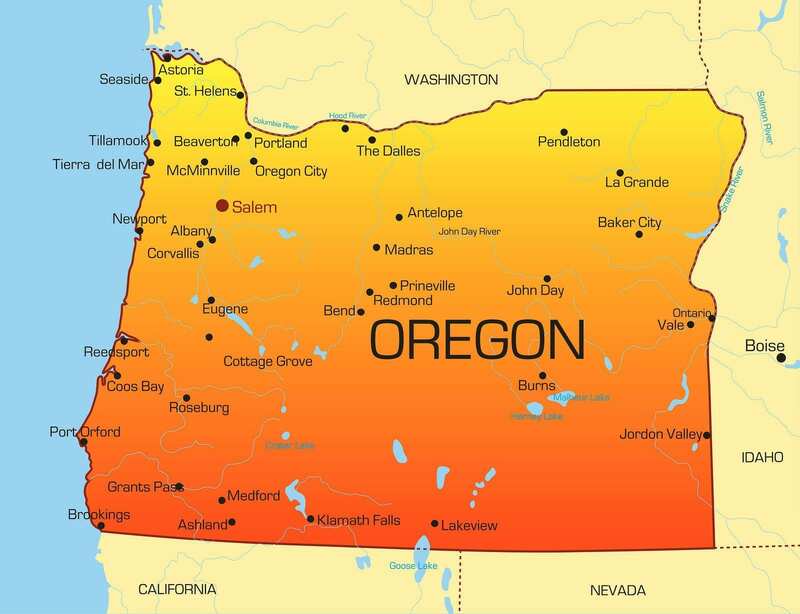 As an LPN in Oregon, you will earn approximately $48,550 annually, based on the geographical region and place of employment. Naturally, you can increase your earning potential and responsibilities by continuing your education to become a Registered Nurse. Do u think this is a good school in salem? Is it a bridge program? I think it is info for statewide LPN programs, talks about requirements, cost and exams…I don’t think it recommends any one program but has a list at the end of available training centers in oregon. I have been a LPN since 1973. I’d still be working if my employer did not retire. If not an RN or MedAssist, hard to find employment anywhere other than nursing home. Tia Jessa Udasco something i came across..
Lpns are going away… not enough certification for hospital nursing. And to much for hospital care giving. Might as well only get cna. Or go all the way to rn..
No future for LPNs. When I graduated from SWOCC 40 yrs ago, the writing was on the wall back then No place wants to hire LPNs now. Medical Assistants for offices, or off the street. and cna’s for most other facilities. Been there done that I am done ..